We are always ready for a demo/workshop on Linux installation. Feel free to bring your hardware for installation to our meetings anytime. You can buy these real cheap at Cheap Bytes, Linux Central or Linux Mall. If you have no way of getting a distribution CD yourself, it may be possible that someone can lend one to you during the meeting for installation on your system. Or, if you have a network card and a CD-Recorder drive, you might be able to download a distribution CD iso image at the meeting, and burn your own copy. We have access to a nice quick line ;-). So bring your hardware and your questions and we'll do our best to send you away somewhat more enlightened. Having trouble finding a NIC that will work? Check out our list of compatible Ethernet cards. OK the idea is to have the kernel properly configured and then tell 'lilo' to not see the drive as a normal IDE/ATAPI device but hold it and use the ide-scsi module. where 'hdd' is your particular device for your setup. and reboot: You should be able to 'cdrecord -scanbus' and see the drive there. You will need 'cdrecord' and any programs you want depending on if you want to rip cd's or whatever. where 'sr0' may change depending on your hdware. I have a tape drive on sr1 and the cdrw on sr0. 'cdrecord -scanbus' will guide you here. This 'How-to' is based on my setup of a RedHat 7.2 server as an sendmail/IMAP/Webmail server using as many 'stock' Redhat RPM's as possible. It's based on a stripped down install using a 'kickstart' floppy and the only non-RedHat RPM's being those for Squirrelmail. This document assumes that your MX records point to the IP of this server so the email will get to it. This setup will finalize using approx 385MB of your hard drive and could probably be reduced even further. I used 'Kickstart' to make the install smooth. It works on my pc so it should be fine on yours. This How-to assumes the user has the basic skills to configure his Linux server. Make a boot floppy from the /images/boot.img on RH7.2 disk#1 using 'dd' or 'rawrite'. Boot up from the floppy with CD1 in the PC and RedHat will begin the install. You may partition as you like or just 'auto partition' and the rest of the install is done for you. Put in CD2 when prompted. Lilo auto installs on the MBR and no rescue floppy will be made etc. I haven't tried this on a dual boot, so just use a dedicated hard drive as this could remove all the data from your drive. After the system reboots, you may logon as 'root' with the password '123456'. Immediately change the 'root' password to something more secure. The kickstart disk setup the network as a DHCP client so you can setup your specific networking settings as required by your needs. Two reasons for the above changes to the default RedHat sendmail.mc are that the first 3 lines we enabled will allow us to RELAY mail thru our mail server without it being an 'open relay'. We will authenticate with a valid username and password to be authorized to RELAY email. Secondly, by default, sendmail will only accept and send email for 'localhost' on a default RedHat 7.2 server so we need to disable that so we can send mail to others. Select  then  and change to your FQDN. Save and exit. Add the users the regular way now and set them up with a password. If you'd like, you can set their default shell to /bin/false in the /etc/passwd file and dis-allow them a shell login. That's all there is to it. 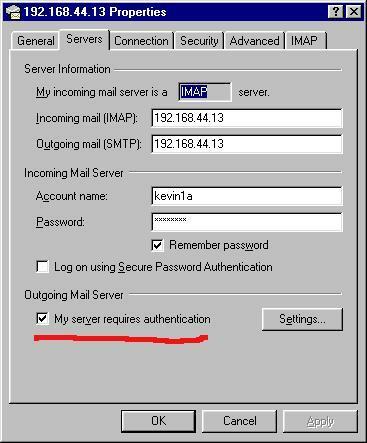 You can also access the server remotely from Outlook, Evolution, Sylpheed etc, by enabling 'IMAP' and 'SMTP Server Requires Auth...' If you don't, your mail will come back with a 'Relaying Denied' error. 10] Check out the Squirrelmail website for great plugins! 'Plugins' are what make Squirrelmail really shine! Many cool features are easily added by extracting the plugins to /var/www/html/webmail/plugins and going back in to the admin script and enable the plugin listed there. You can also setup centralized 'filters' for your IMAP users by using 'Procmail' so each email client won't have to set them up seperatly. Be sure to think about any additional firewall or security issues you may wish to add. 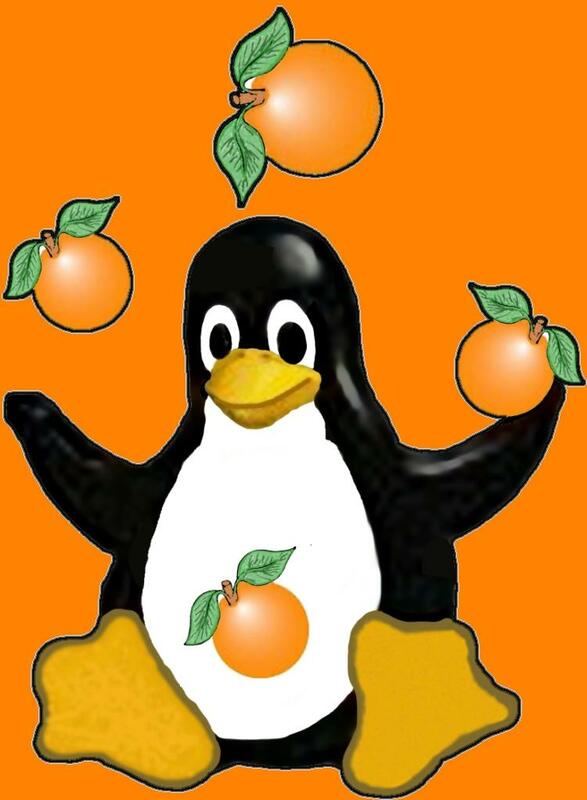 The LRP is a relatively new Linux project that is creating a lot of interest. Basically it is a one diskette operating system that when booted will enable a properly equipped CPU (with two NIC's) to operate as a full fledged router and software firewall. "...designed as a minimalist Linux installation, the Linux Router Project's distribution of Linux can fit on a single 1.44MB floppy disk for most sites and provides all the components needed to route between two Ethernet LANs or between an Ethernet LAN and the Invernet via PPP". One of our members, George Toft, has put a fair amount of time installing several instances of LRP and has worked up an informative web page to make his configuration scripts available. Check it out.